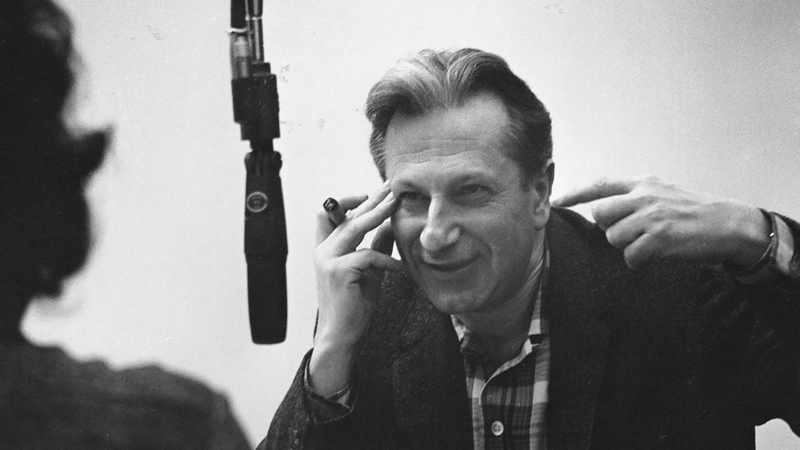 For 45 year, Studs Terkel took WFMT radio listeners along for an amazing and crazy ride. He was a television pioneer, a radio host, an oral historian and a Pulitzer Prize-winning author. Now, thousands of hours of his WFMT radio show are being digitized and posted online for free. The Studs Terkel Archive officially launched Wednesday, on what would have been Terkel’s 106th birthday. The first 1,200 hours of radio programs are currently available, introducing him to a new generation of listeners and scholars a decade after his death. Eventually, 5,600 hours of shows will be posted online. Between 1952 and 1997, Terkel interviewed celebrities and regular Joes alike. Some of the guests along the way: the Rev. Martin Luther King, Jr. (1964), Cesar Chavez (1964, 1973), James Baldwin (1961, 1962, 1976), Gwendolyn Brooks (1967, 1992), Nelson Algren (1961, 1963, 1965, 1977), Ethel Merman (1961), Janis Joplin (1970), Bob Dylan, Carol Channing (1959), Marlon Brando and Woody Allen (1965). After Terkel retired from WFMT in 1997, he went to work as a scholar-in-residence at the Chicago History Museum where he brought his tapes. The Studs Terkel Archive is a collaboration between the history museum, WFMT and the Library of Congress. Joining us to talk about the Studs Terkel Archive is Tony Macaluso, the archive’s director and the director of radio syndication at WFMT; and Gary Johnson, president of the Chicago History Museum.